Who is loving the fall weather? THE BEST. Love how it isn’t too cold yet- but you’re still game to be able to pull out those cute light coats, capes, boots, and cozy sweaters. 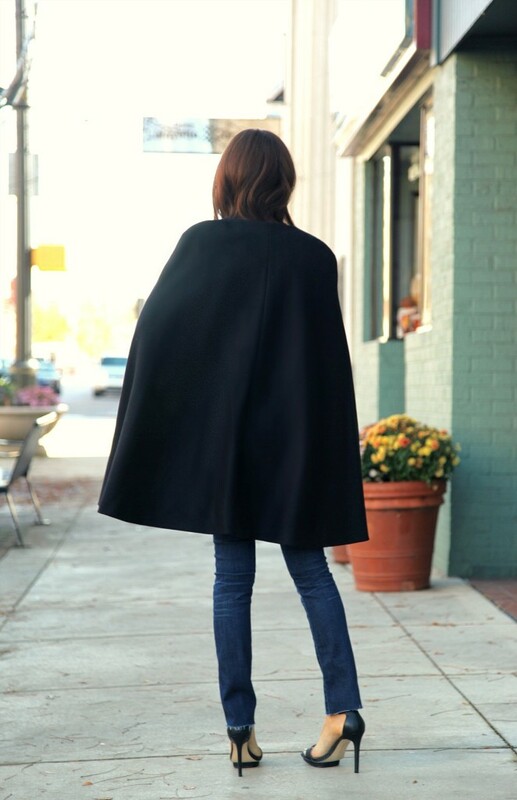 How chic is this wool cape? I got this cape last fall as a gift from my sister last year. 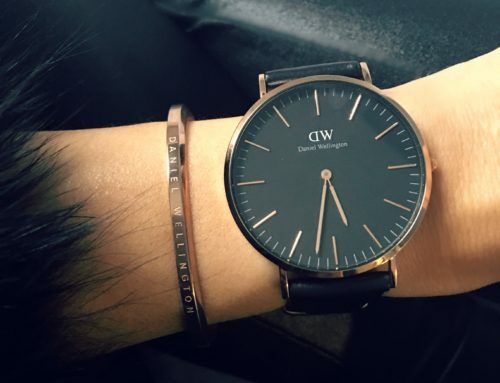 This one was pretty pricy, but I would def invest in one- it is such a fall staple. I decided to pair my gorgeous necklace crystal necklace to add a little drama- it adds the perfect touch and glams up the outfit immediately. The perfect outfit for lunch or coffee with friends. 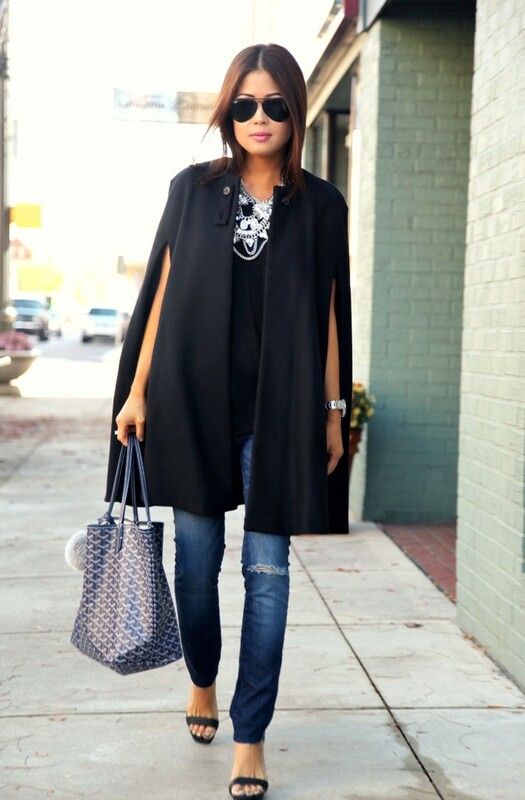 So obsessed with outfit- comfy and chic all at once. What’s your fave fall outfit these days? I’d love to hear! Great outfit! The necklace is the perfect touch! Sooae, you look amazing as usual, and I need that cape and necklace, when you get bored with them. LOL In love with these pieces. Gorgeous – I love the necklace! So gorgeous! 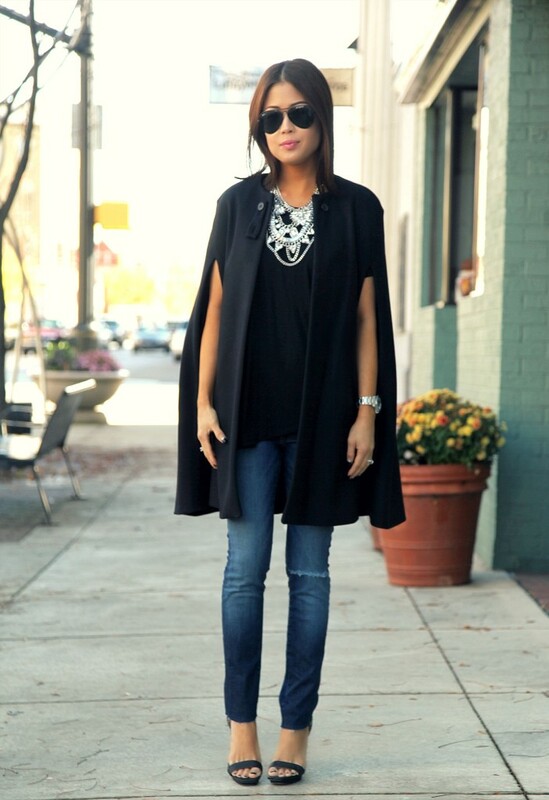 I love the pop of glam in your oversized necklace, I think that is my fav part of this look! Classic! 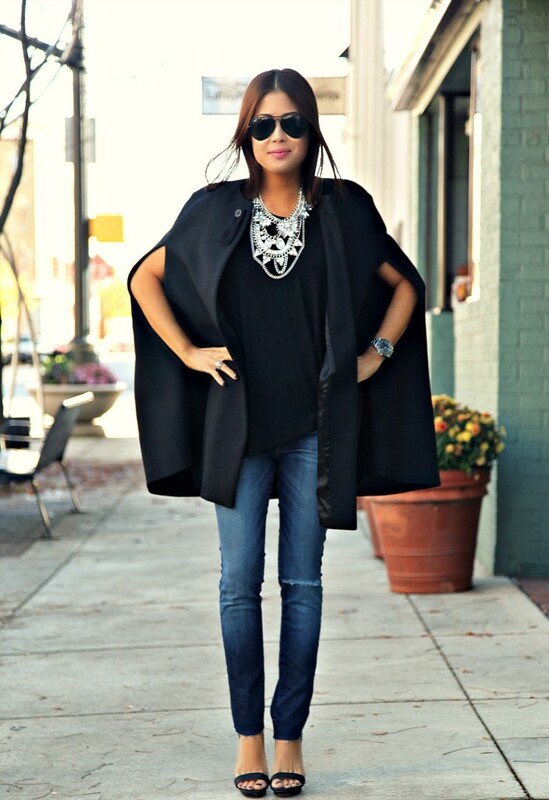 work that cape! Love your Goyard too! 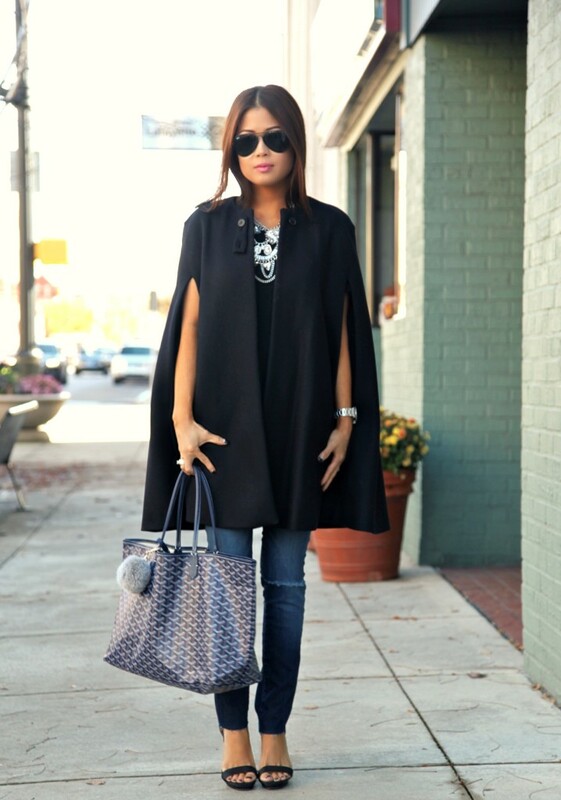 Such a sleek look and that cape is fabulous! 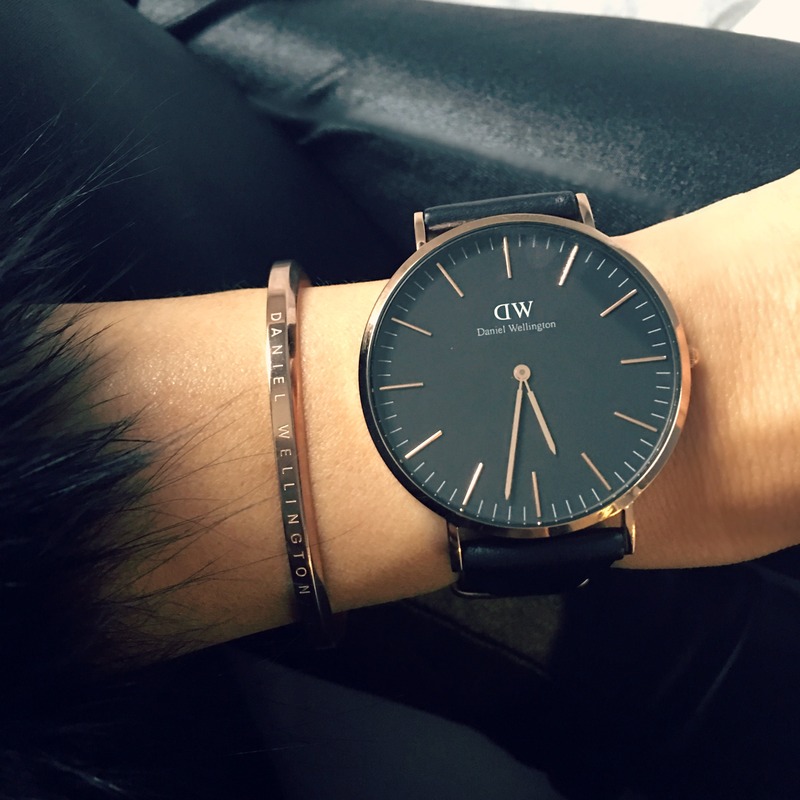 Oh my goodness, so amazingly chic! Amazing casual chic. 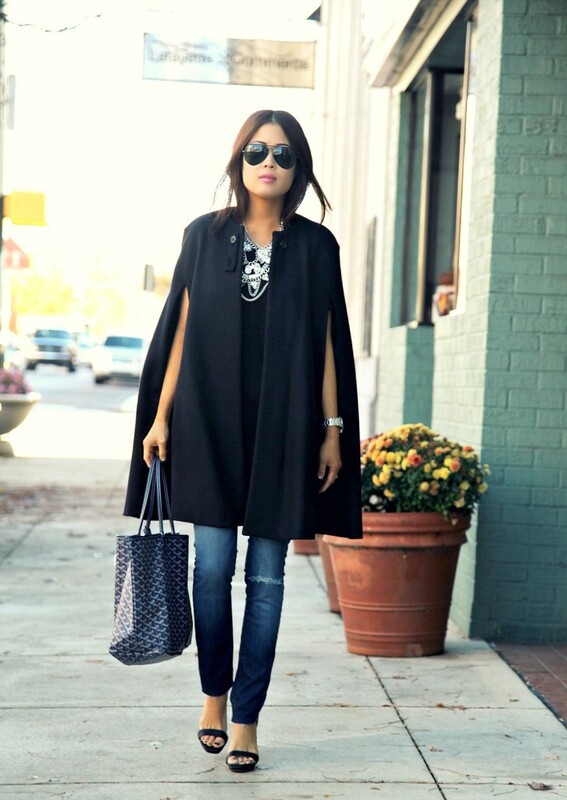 Love your cape. You’re such a doll – and thanks for inspiring me to go get a cape asap! LOVE this look! 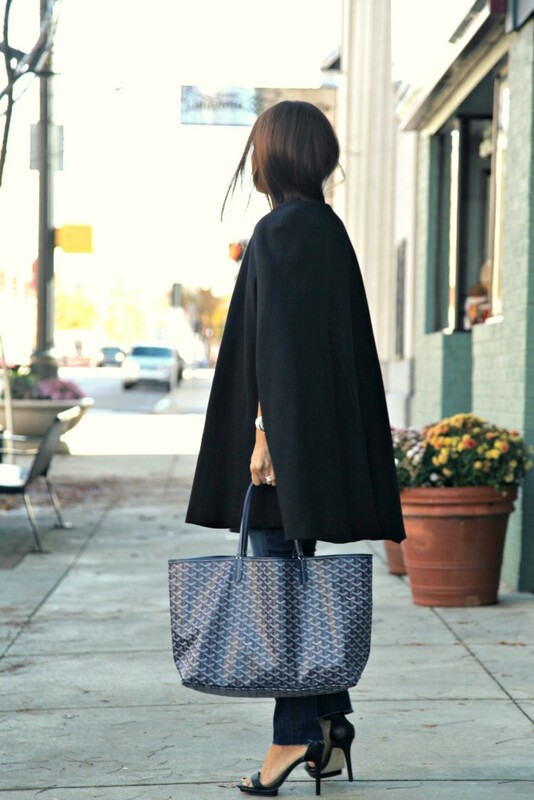 Especially the cape and shoes – complete perfection! that’s so great 🙂 have a lovely day! 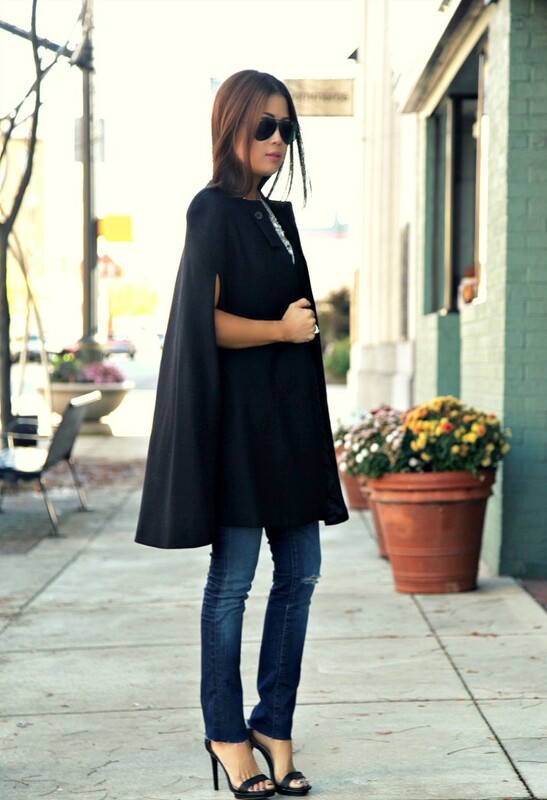 Capes are so chic, and this one is exceptional! Love the look! wow that cape is beautiful, it makes such a statement! Of course you look amazing as usual!